If you were one of the many people impressed by the Sega Forever initiative, which aims to release several of the company's classic games to smartphones, and you decided to try out a title or two, you may have noticed a slight problem: the games don't exactly run well, even on high-end hardware. Which is a problem primarily because regular, non-official emulators can deliver much better performance, and have been able to do so for years. Meanwhile, Sega's own solution suffers from a slew of problems: visual stutters, out-of-sync audio, poor touchscreen controls, and input lag. But the bugs run deeper than that: it seems users who want an ad-free experience are having problems: ads are still present in the games even after purchase, and local saves also appear to be broken for some users. So if fan-made emulators have no problems playing these games but Sega's do, what exactly went wrong? One word: Unity. 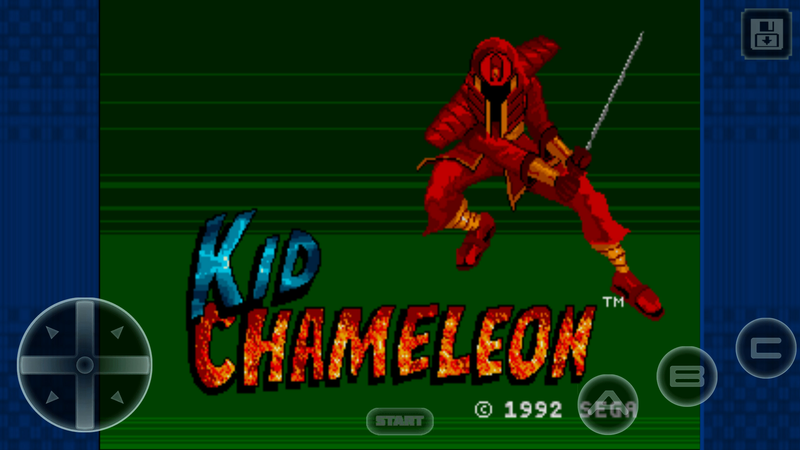 If you're into games on your smartphone, you have surely seen that name on a game's splash screen. In short, Unity is a game engine, the basic framework needed to build a video game with ease and without worrying too much about low-level details. It's probably the most popular game engine for mobile games, due to its cross-platform support: it can target pretty much every PC, smartphone, or game console out there right now. Which could, in theory, be an explanation as to why Sega chose it for development of its Mega Drive/Genesis emulator. In fact, Sega's chief marketing officer Mike Evans explicitly blames mobile device fragmentation for the choice of Unity as emulator platform. Furthermore, he also promises future updates will address some of the problems currently present, including the poor controls and visuals. However, it's worth noting that Unity being a game engine does not at all mean it's a suitable choice for cross-platform emulation. Quite the opposite, in fact: building the emulator inside Unity introduced a ton of needless processing overhead, which ultimately brings us to the Sega Forever platform's current broken state. As is usually the case, however, a bad decision such as this can almost always be traced back to its relatively reasonable origins. That is to say, there were initial plans to use the open source RetroArch emulator instead. However, since this emulator is licensed under the GPL license, Sega claims using it would require it relinquish some of the rights to the games – something Sega finds "unacceptable." Meanwhile, RetroArch developers also declined to put their work under a more restrictive license that would please Sega. But with that in mind, it's still worth pondering why Sega chose to do a rush job of Sega Forever when it couldn't find a suitable existing emulator. That is to say, these games are all more than 20 years old, so people weren't exactly in a rush to get ad-supported versions of them on their smartphones. Plus, as Ars Technica points out, Sega has a relatively good history with selling emulated copies of its games: the Nintendo 3DS has its own Sega Classics line, while PC gamers have the Mega Drive Classics. Lastly, it's worth noting that not all of the Sega Forever games have performance issues. Both the Sonic the Hedgehog and Sonic CD mobile ports were made beforehand, and thus run much better than the rest. Also, an update to several of the games has recently been pushed out in order to fix problems with local saving. Yeah, unfortunately I had to delete Altered Beast as it was unplayable for me. Sad. Get it right Sega. Its a joke they now require you to be online to play them. Crazy Taxi and Sonic before the update didn't need to be online. This is truly disappointing. Sega has a sizable library of awesome games. They need to make an actual effort to release them properly for their own legacy's sake.